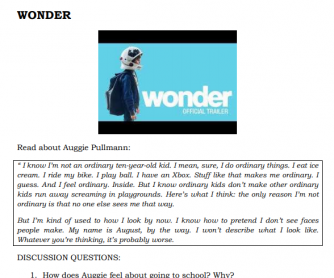 Worksheet for when you watch Wonder in class. 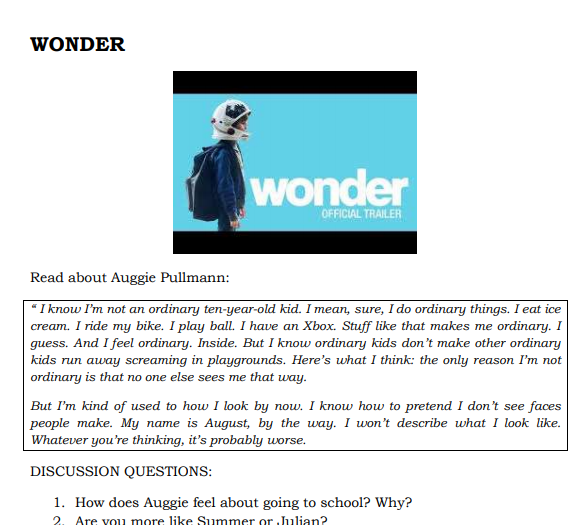 Here you can find some words the protagonist, Auggie, says about himself. There are some easy discussion questions on the film. There is also a true/false activity. In this way we can check if they have understood the plot and we can lead a debate on social issues.